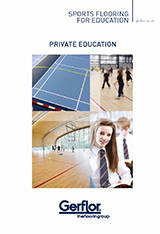 Protection and safety are the main concerns when we are developing a new floor. 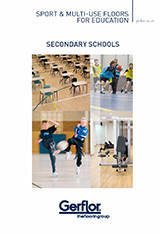 With a complete range of P1/P2/P3 products, Gerflor offers the perfect solution adapted to all users and usages, from low impact activities through elite and performance sports. 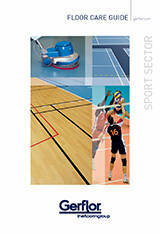 Gerflor have supplied courts for Handball and Volleyball tournaments during the last Olympic Games in London in 2012. Taraflex™ is the most widely specified sports surface in the world; it has been selected for 10 consecutive Olympic Games from Montreal to London 2012 for indoor surfaces like Handball, Volleyball, Badminton, Table Tennis and Sitting Volleyball. 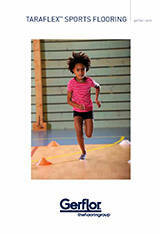 Taraﬂex™ sports ﬂooring has been selected for 10 Olympic Games, most recently at the London 2012 Games. Leading sports events organisers and national governing bodies put their faith in Taraﬂex™ as its offers the highest levels of performance, comfort and safety. Every sports person has, regardless of their ability, played at least once in their life time on a Taraﬂex™ sports ﬂoor. 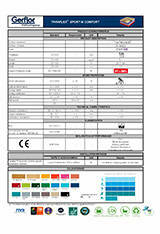 The first Taraflex™ sports floor in the P3 category.